Patrick & Cherie Ranfranz searching for the Coleman Crew and plane on Yap Island, October 2005. 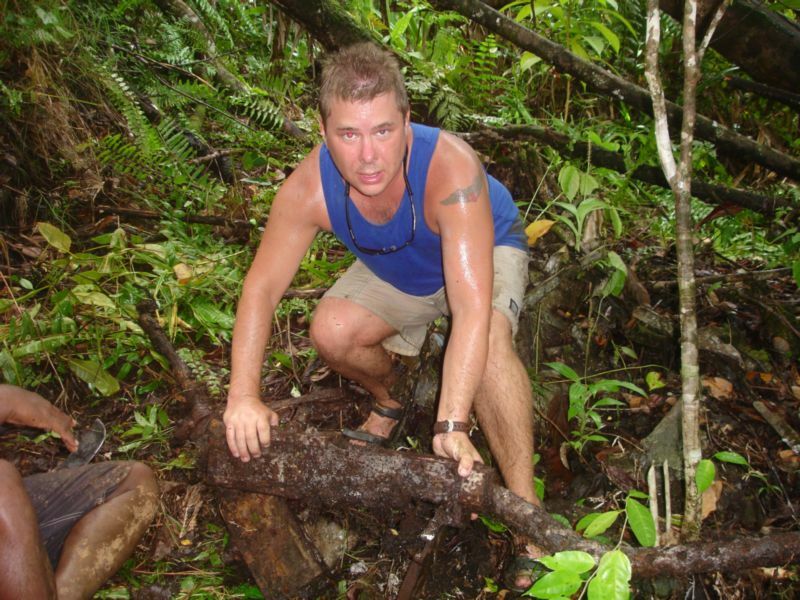 Patrick Ranfranz reviewing an American crash site on Yap Island. 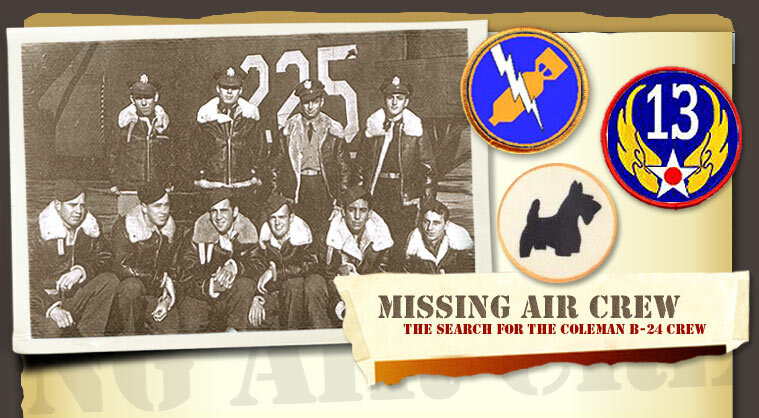 Pat Ranfranz founded the Missing Air Crew Project to search for his missing uncle, T/Sgt John R. McCullough . John was one of ten crew members on a B-24 Liberator that was shot down by a Japanese fighter over Yap Island on June 25, 1944. All ten crew members were declared missing in action (MIA) and never located. The plane was piloted by Lt. Gerald Coleman (thus the name the Coleman Crew). 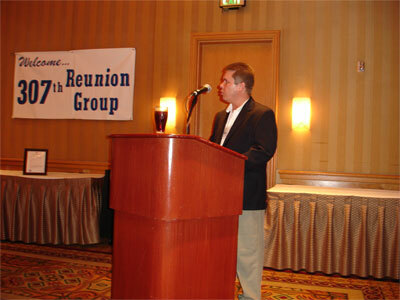 The crew was part of the 13th Air Force, 307th Bombardment Group and 372nd Bombardment Squadron. Although Pat and Cherie Ranfranz original project goal was to locate the Coleman Crew, the project has expanded over the years to research, document, memorialize and locate all the American's missing in action near Yap Island. Pat and Cherie have researched and documented the loss of over thirty-five American planes and hundreds of American men. They have located and identified numerous American crash sites and have helped numerous families find some form of closure. Red more. The Los Negros to Yap mission was a thirteen hour round trip to a heavily defended target without friendly fighter cover. A number of channels are used to provide Missing Air Crew Project updates. I post frequent updates on Facebook and YouTube. 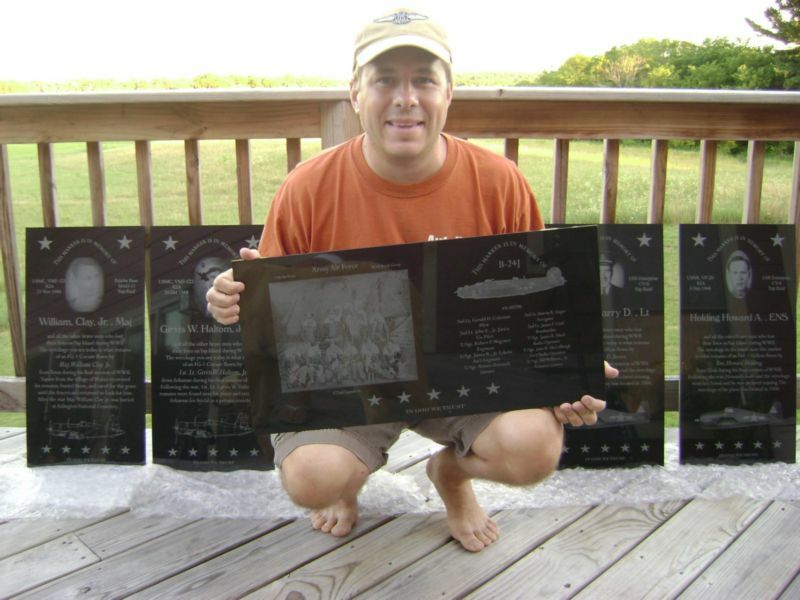 Patrick Ranfranz holds one of the memorial markers created to remember the American men lost over Yap.